The Chicago Athenaeum: Museum of Architecture and Design and Metropolitan Arts Press Ltd. has presented the Museum’s annual GOOD DESIGN® Awards Program for the most innovative and cutting-edge industrial, product, and graphic designs produced around the world for the year 2009. GOOD DESIGN is an international symbol of a company’s firm commitment to innovation and superior design embodiment. The emphasis is on quality design of the highest form, function, and aesthetic—a standard beyond ordinary consumer products and graphics. 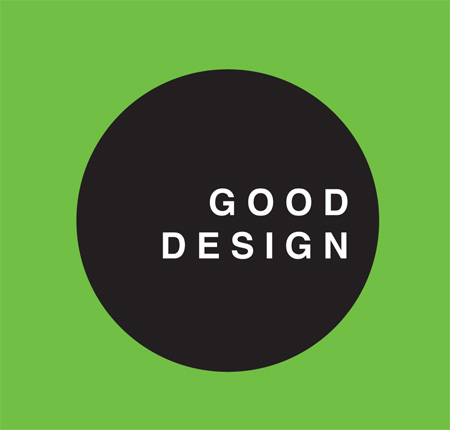 The Chicago Athenaeum’s GOOD DESIGN program forwards the ideals of a design process that embodies product excellence and endurance and strong public identity. Now in its 59th year, GOOD DESIGN is the oldest and the most prestigious Awards Program organized worldwide, which honours the yearly achievements of the best industrial and graphic designers and world manufactures for their pursuit of extraordinary design excellence. Annually, designers and manufactures in over 30 nations have been honored for their singular achievements in producing hallmarks of contemporary design. The deadline for this year’s edition was the 1st July. The enrty winners become property of the Permanent Design Collection at The Chicago Athenaeum: Museum of Architecture and Design. World Wildlife Fund Headquarters, Office Building, Zeist, The Netherlands (category: Arquitecture 2009). With this Special Issue 45 + 1, Italian Oxygen, Abitare created an award to Italian inventiveness. It will be an annual award aimed at promoting new Ideas and innovative solutions in architecture, design, the arts and the urban environment. The financial prize available will also help publicize and produce a useful, promising and radically new Idea. For the first edition, based on 45 projects selected in 2008, Abitare readers are asked to say which of projects published in this issue they think is the best by voting from this website. Readers can vote until the end of february 2009 and to vote is easy: just click on one of the stars you’ll find below each article in the category on the left ”Vote for 45 + 1″, according to the valuation you want to assign to the project. You have one possibility to vote for each project. Valcucine has been nominated for having worked with materials in terms of ethics, and through the limitations of the materia itself. As a result, Valcucine has produced a number of kitchen designs based on the principle of dematerialisation – created with a minimal use of resources and energy – and on the reuse of discarded materials. This approach now also includes a new design feature, with the creation of the first fully recyclable glass floor unit within a structure which is itself made of recycled aluminium (a material that requires 1/20 of the energy required to produce primary aluminium). Well aware of the fact that an existing product is a potential source of raw materials, Valcucine manufactures kitchens whose design also factors in the eventual break-up and disposal: the new glass floor unit system, for example, is held together with mechanical joints and so it is easy to take apart. And finally, the product itself dies. This end is planned as an integral part of the product itself. Thus, what for many is a problem becomes something identified as a value. Each year at the ICFF, a panel of the hippest and most in-the-know U.S. and international editors bestows the ICFF Editors Awards. The awards are among the industry’s highest accolades, a summit of success for designers and manufacturers in the field of contemporary furnishings. Valcucine has been awarded in the Kitchen and Bath category.